Great for medium sized workout room! I usually don't write reviews but this mat is amazing! Having spent time trying to do intense cardio activities on everything from yoga mats that tear, to mats designed for equipment that wont stay in place, I was at my wits end. Then I found the mega mat. Its durable enough to stand up to my repeated burpees and floor sprints while being heavy enough to stay in place. Perfect for my medium sized carpeted man room. The only draw back I've seen is that my mat came with quite a few tiny black particles that seemed to shed off the mat in the first few weeks. I chalked this up to the manufacturing process and they are easily vacuumed up. Great job on this one, well worth the money! My Police K-9 Dog kept destroying that mat for his cage in the rear of my patrol car. I purchased this product as a replacement because it was thicker than the old mat. It was easy to cut using a utility blade and is definitely serving its purchase. 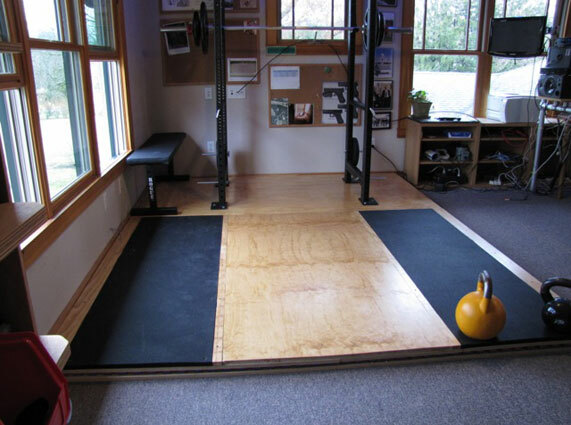 The best part is this flooring is less expensive and better quality than the standard mat that comes with the cage. Highly recommended for an K-9 handlers having a similar issue.